**THE CALL FOR A PEOPLES TRIBUNAL AGAINST POLICE REPRESSION AND VIOLENCE. Read Call. March 2015 International Working Women’s Day actions. Click for listing of actions in NYC, Balt, Chicago, Providence, Detroit or see right side-bar local links. **Weekend of Feb 21: actions against police brutality in honor of Malcolm X, who became a revolutionary because Black Lives Matter. 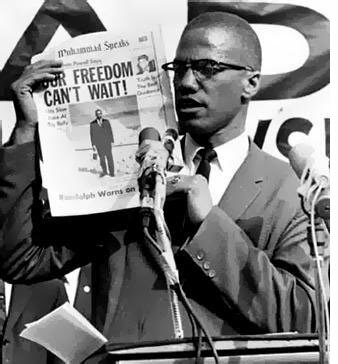 In Harlem, the PPA & others will “walk in his footsteps,” meeting at 12 noon where Malcolm used to hold street meetings, and walk to the police precinct where he organized a protest against police brutality in 1957. For NYC details. Nationwide. Monday Jan 9, 2015. In NYC: 5pm Foley Square. FB Event. See FergusonResponseNetwork for action in your area. -Feb 9: Six month anniversary of Michael Brown murder. -Feb. 13: Black Love Day to closely coincide with Valentine’s Day. 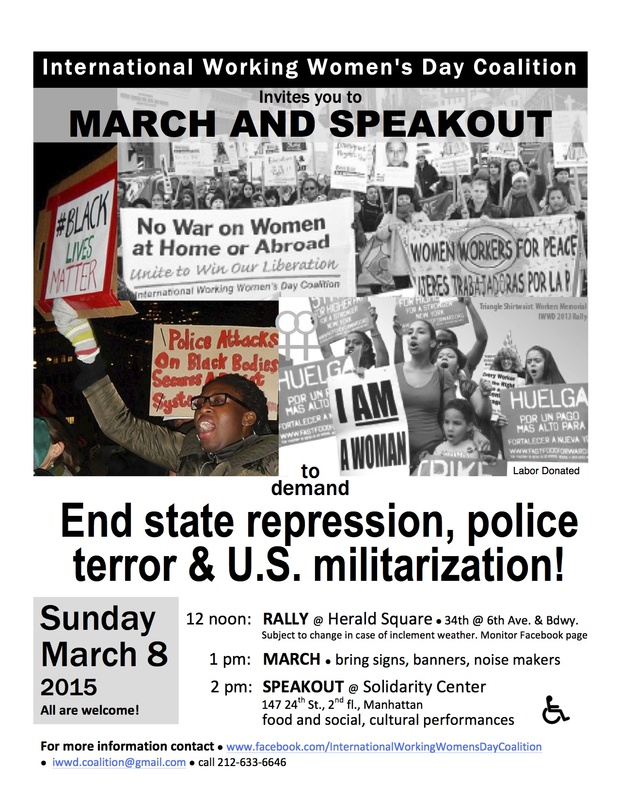 -Feb. 21: a national day of shutdowns around police brutality in honor of Malcolm X. -Feb. 26: Trayvon Martin Day who would have turned 20 years.